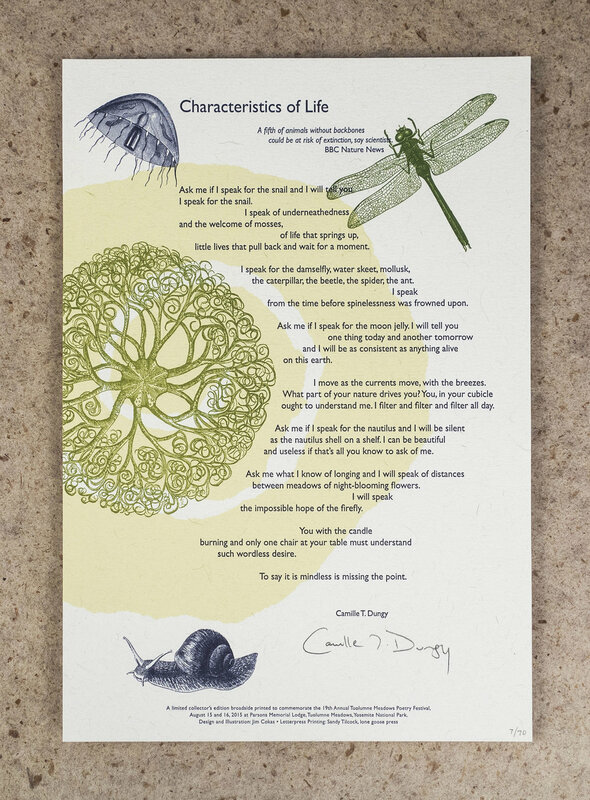 Below is a curated sampling of some of the broadsides I’ve designed over the past few decades. 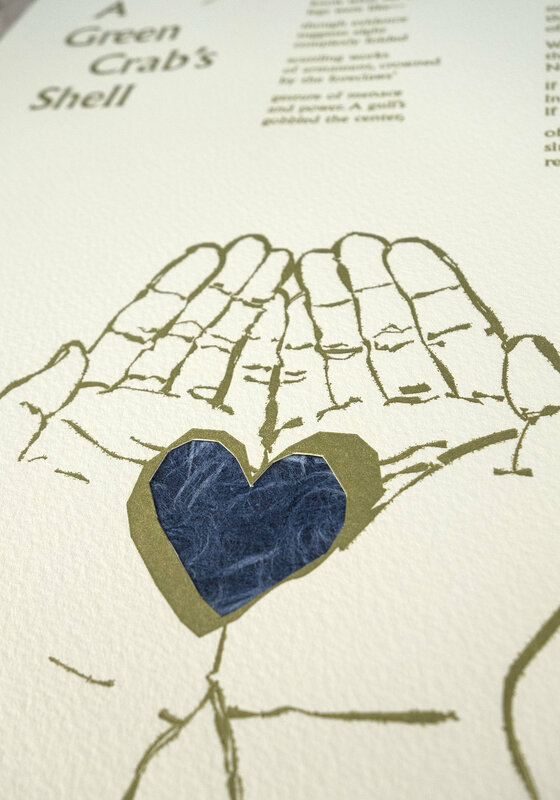 They are primarily created using letterpress techniques, though sometimes digital printing is added as are various hand-application techniques. 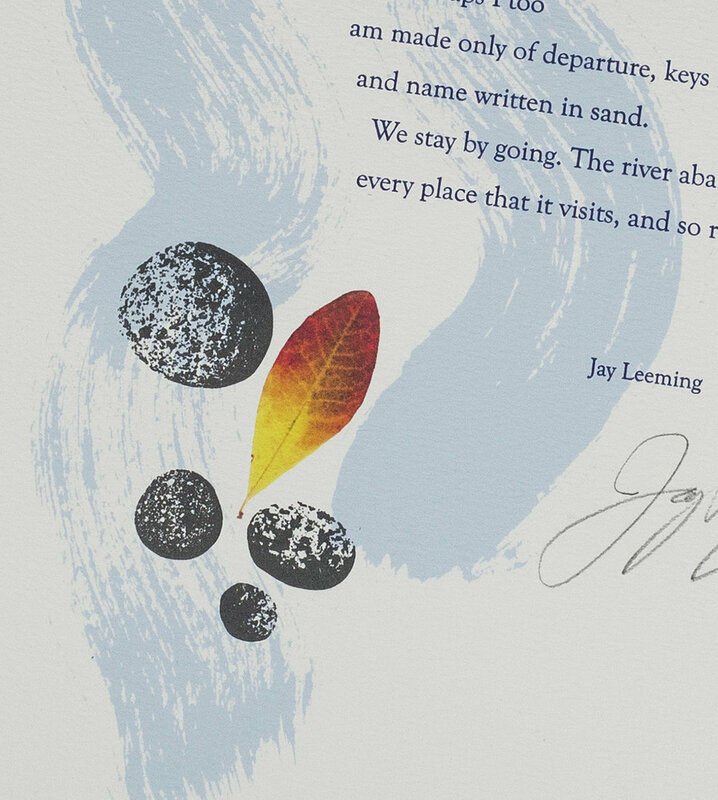 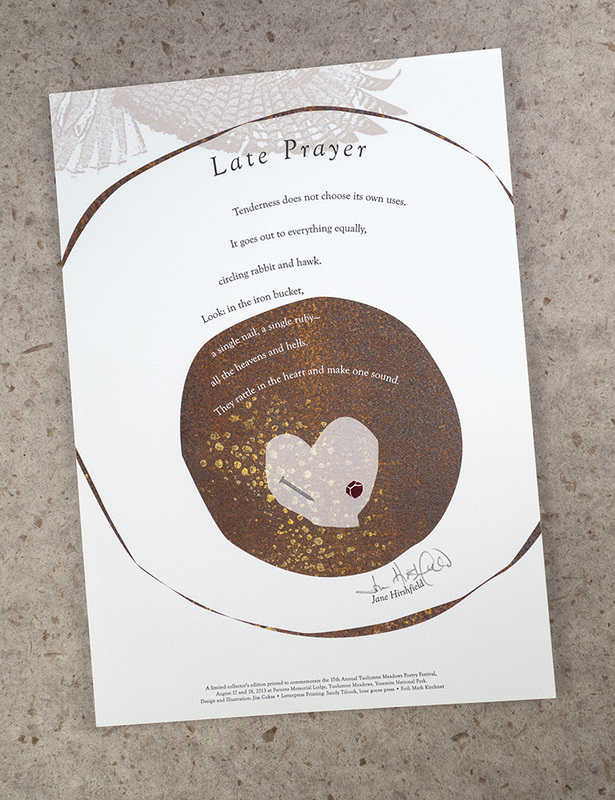 While I created the layouts and the graphic illustrations, I relied on the talents of several excellent letterpress printers, most notably: Sandy Tilcock, Sharon Shin, and Bradley Hutchinson. 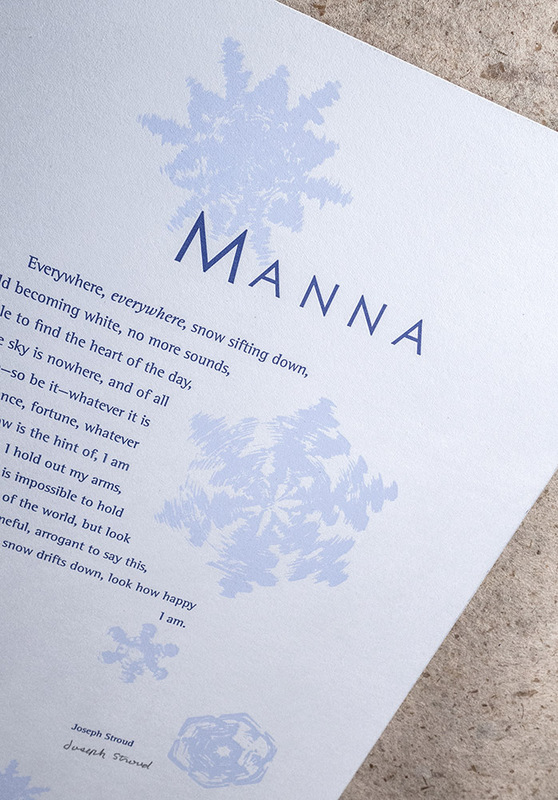 I am forever grateful to the dozens of outstanding poets who entrusted their work to me. 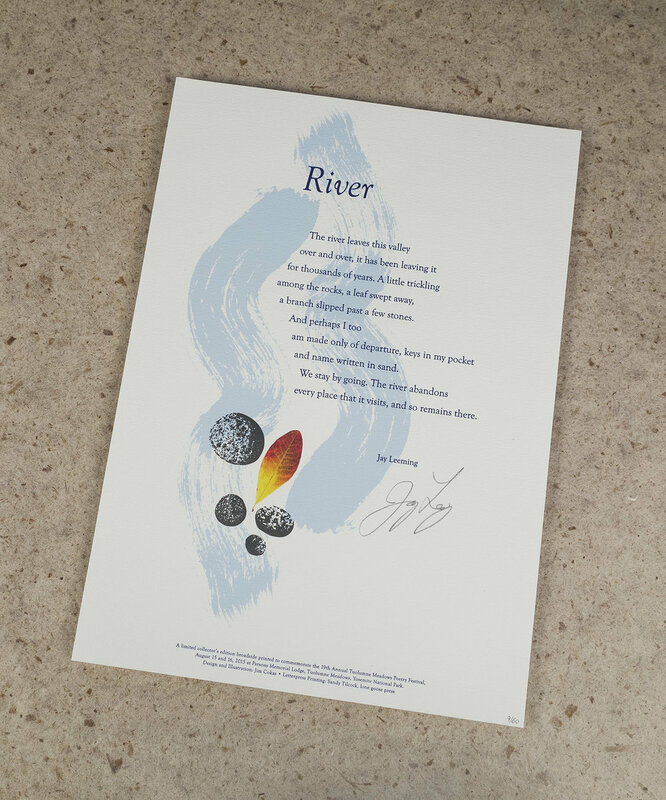 Most prints we done in conjunction with the Tuolumne Poetry Festival in Yosemite National Park.